This free community event will gather 10,000+ art lovers at the Shoreline Community College on June 29 and 30. Over 10,000 art lovers come to this keystone community event each year. 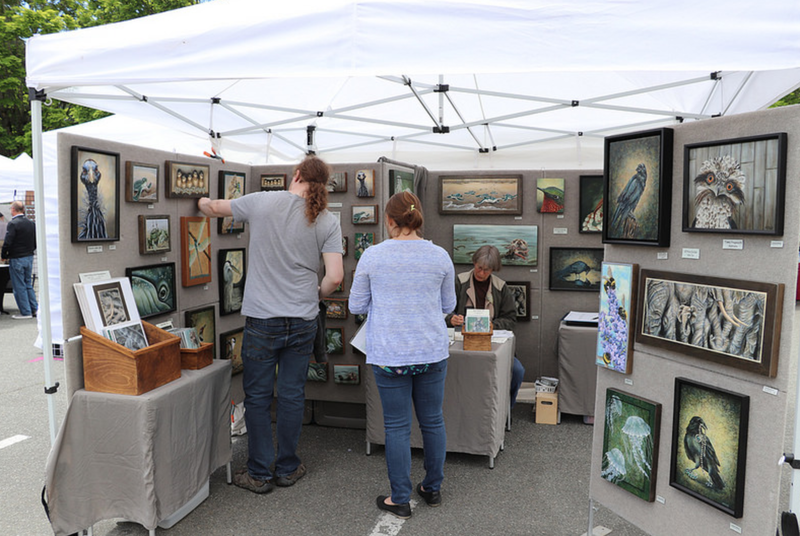 Celebrating its 29th year, the Shoreline Arts Festival has a lot to brag about and is planning for improved event flow and expanded advertising in 2019. Location! 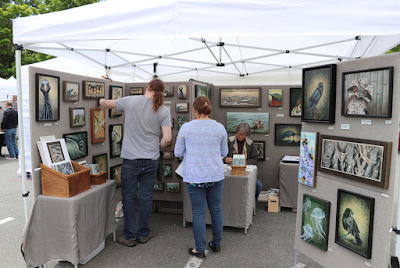 Show and Sell your work in the art-loving neighborhoods of North King County, and with a new event venue this year you can be sure publicity will at its highest level. With over 70 artists participating in the Artist Marketplace, the festival is a vibrant event with an incredible community of artists. Water, snacks, booth sitters, and artist/member lounge are available for selling artists to make sure you have the best weekend possible! Submit your application and $20 application fee online via Call for Entry by 10:59pm on Thursday, February 28th, 2019. All work must be original and created by or under direction of the artists(s). Artist(s) must attend the entire Festival (June 29, 10am – 6pm and June 30, 10am – 5pm). Items must match type & quality submitted for jurying. No work by non-juried artists. All booths must withstand Northwest weather conditions, with canopies weighted against wind. Tables and chairs are available for rental. Overnight security is provided. In addition to booth fee, a Shoreline business license may be needed.